The view at Pearl Harbourfront is hard to beat. Overlooking the lake with a great view of the islands, there's no better way to enjoy delicate, hand-made dim sum dishes and a pot of select Chinese tea. On offer are tasty small plates of steamed dumplings and a variety of fried snacks central to the Cantonese tea house tradition of yum cha. 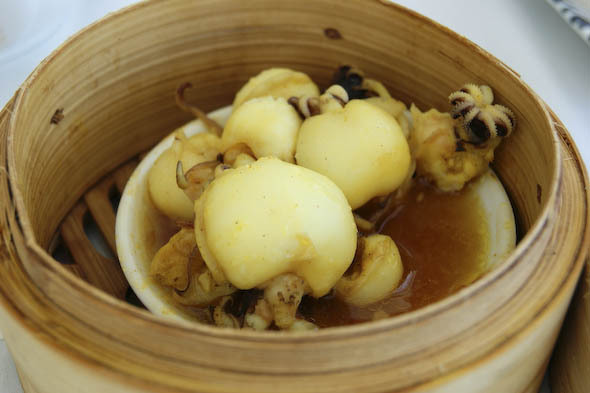 Yum cha simply means "to drink tea" and eating dim sum is quintessential to the experience. Tea options include jasmine, chrysanthemum, and of course the standard oolong. Meant to aid in digestion, tea is sipped alongside the meal. Orders are taken by marking up an order form that has both English and Chinese descriptions, versus the cacophony of hawkers rolling food carts. The bill is tracked on a card at the table. Small dishes cost $3.75, medium are $5.35, and large are $5.95. 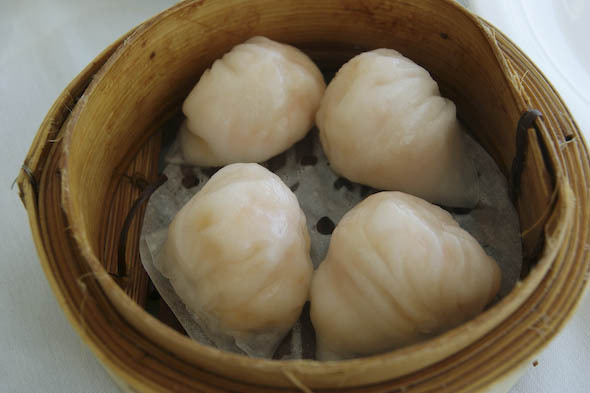 The Har Kau or Shrimp Dumplings ($5.95) are the benchmark dim sum for any restaurant and these are packed with super sweet shrimp, then pleat folded into a wrapper and steamed till translucent. The Siu Mai ($5.35), a pork based dumpling inside an egg noodle wrapper and the Steamed Scallop Dumpling ($3.75) shown at top, are both good savoury choices. Tender Steamed Beef Balls ($3.75) arrive next. 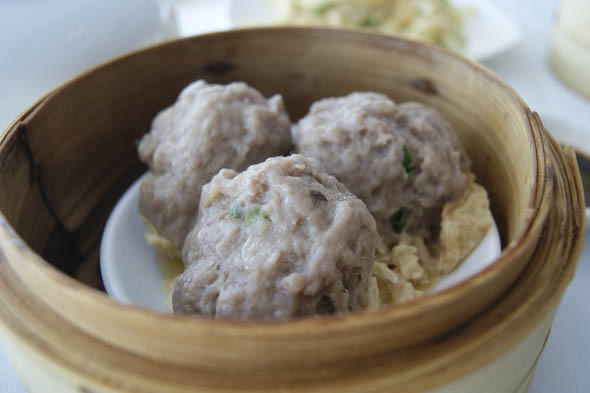 Sitting on a liner of soft tofu skin, the beef balls are as light as air, a sign of quality, and served with Worcestershire sauce for dipping. 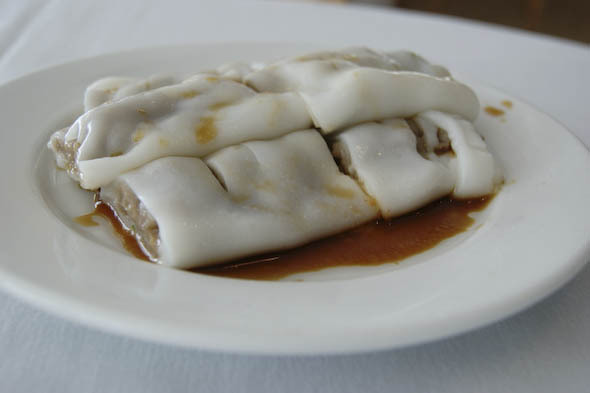 I also order the Beef Cheung Foon ($5.35), rice noodles wrapped around minced beef and served with a sweet and salty soy sauce. 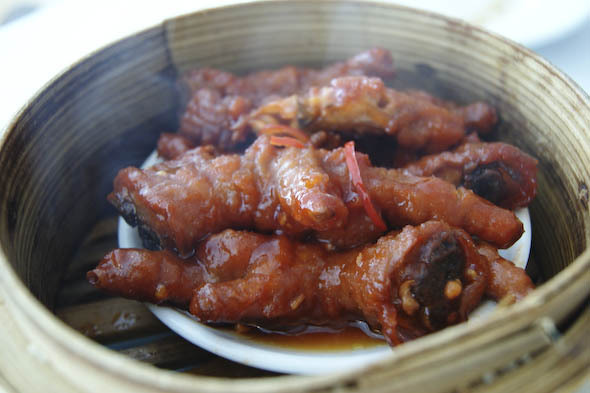 While not for timid eaters, the Steamed Chicken Feet ($3.75) are cooked in a soy chilli sauce till the skin, meat and tendon practically fall off the bone. The Steamed Curry Cuttle ($5.35) are hit or miss. One time, they are soft and easy to chew and another time, they're a little rubbery. 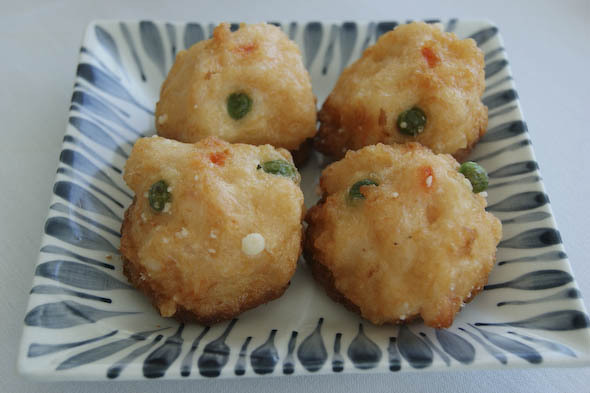 The Chinese-style curry is mild and just right for dim sum, which is usually eaten at brunch. The fried dishes are fine but I can only handle one or two at the dim sum hour. My choice is the Fried Shrimp Toast ($5.35) which is a minced shrimp mixture on top of a small slice of white bread and deep-fried till crispy. 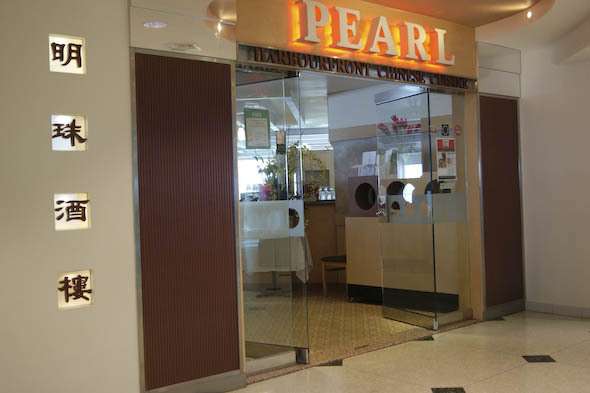 You can ask for mayonnaise or sweet and sour sauce to go with it, but at Pearl Harbourfront the standard accompaniment is Worcestershire sauce. Off the special section of the menu is Marinated Jelly Fish with Cucumber ($7.50). 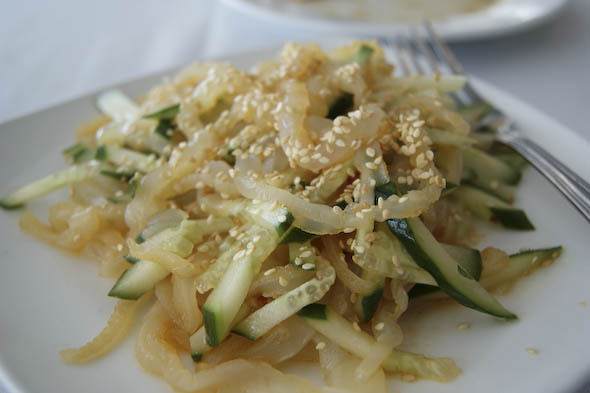 This is a cold dish almost like a sliced jellyfish and cucumber salad marinated in soy and topped with sesame seeds. To brighten it up, I add a drizzle of chilli oil available upon request as a side condiment. 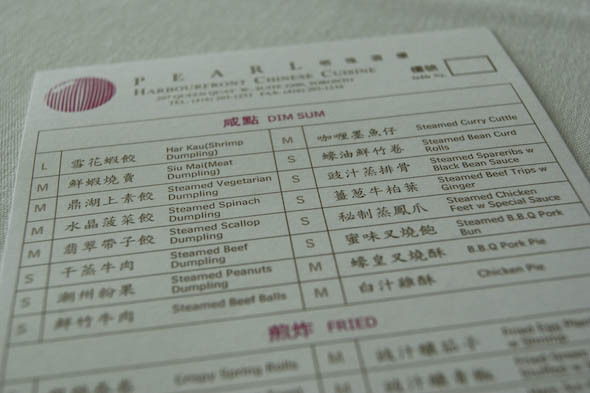 Pearl Harbourfront also serves dinner and handles banquet style meals but I like it here for dim sum in the daylight. If I'm going to pay higher than average prices for Cantonese food and dim sum, I want the view to go with it.